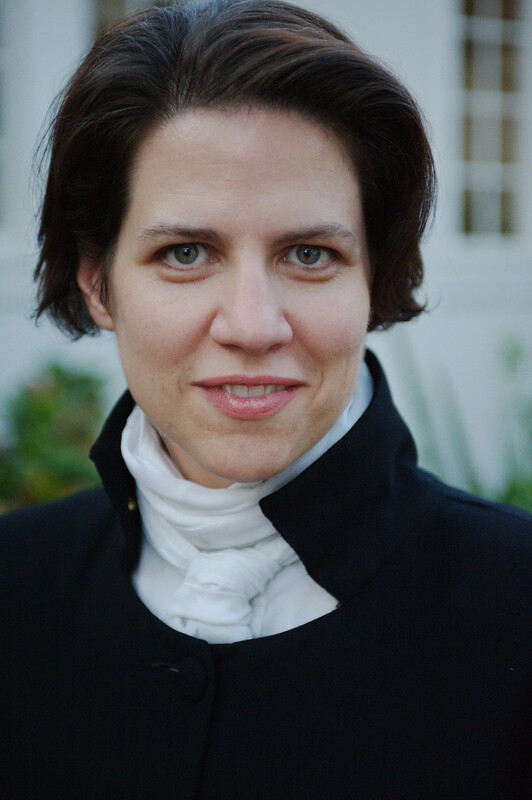 I am Emilie P. Bush, author of Her Majesty’s Explorer: a Steampunk Bedtime Story – which is the world’s first Steampunk picture book. I know, right? How did the movement get this far along without stories for the smallest within it? But these facts remain. At a recent convention, I was asked, “Gee – you’d think with all the general visual appeal of Steampunk there would be more picture books. Why aren’t there more?” I scrambled for a minute and thought – Well, it’s hard to illustrate with just brown. That was the flip, off the cuff answer, but it’s not wrong. The look of our book wasn’t appealing until we hit on the idea of blocks of simple color added George Milies’ style – the hand tinted celluloid of early cinema. However, color is only part of the answer. The rest of the story (or lack of stories) has to do with the nature of the Community, Steampunk conventions and the culture in general. What the genre does best – is subversion. 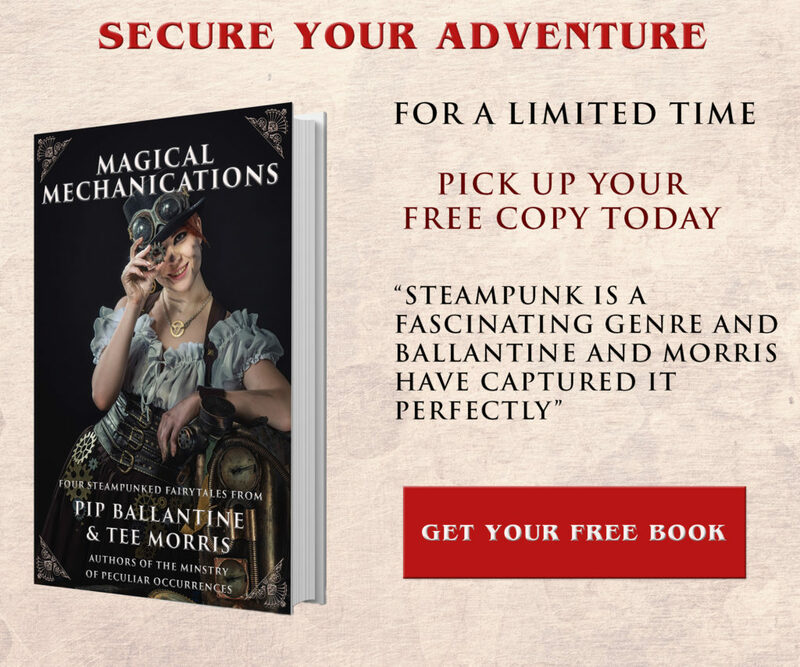 The surface of Steampunk is self-reliance and adventure, but the underpinnings of the tales are about bucking the social status quo and escaping the cast into which one was born. Not what most parents want to instill in their child at a tender age. Many grown-ups in Steampunk come to a convention to get their drink on and their corsets off, and for several years – there wasn’t much of a place for kids in the scene. That is changing as Steampunk grows and procreates, but many still head in the other direction when they see kids at a con. The body of literature for small children is slowly catching up to the population that has already arrived. The Steampunk Stained Glass Coloring Book (Dover Stained Glass Coloring Book) is nice for coloring. Again – if it’s NOT in color, or in this case meant to be colored, modern kids won’t be interested in it. The Wonderland Alphabet – illustrated by the MAGNIFICENT Janet K. Lee is a wonderful starting place. The illustrations get kids ready for Lee’s most popular work – Return of the Dapper Men, a book I read to my kids – over several nights, and one they also enjoyed, but the audience for Dapper Men is above picture book age. The illustrations are fascinating to small kids, however – and I recommend any book illustrated by Janet Lee. Marjorie Priceman’s Hot Air: The (Mostly) True Story of the First Hot-Air Balloon Ride (Caldecott Honor Book) Atheneum Books for Young Readers – this is a cute book on early balloon flight – not exactly Steampunk – but when I do readings for kids, it fits right in with the types of little adventures kids like. Heather Theurer’s Thaddeus the Boss. (Channel Kids) is a dieselpunk story of sorts. 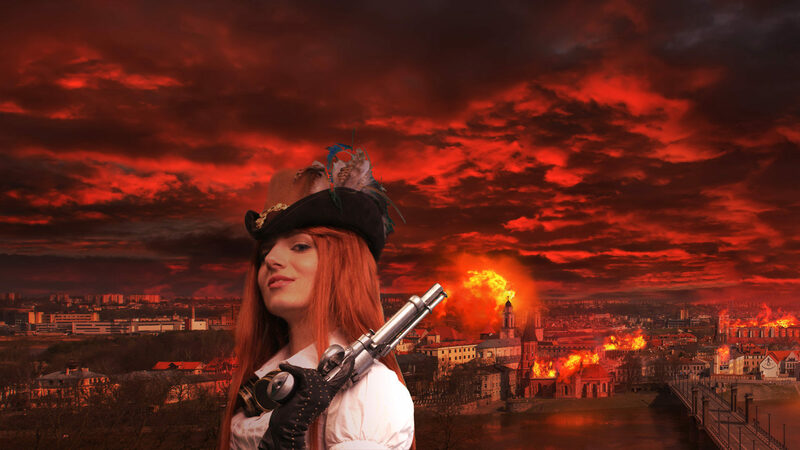 And as a shameless self promotion – Her Majesty’s Explorer: a Steampunk bedtime story. Coal City Stories. Bemis, John Claude. The Nine Pound Hammer (The Clockwork Dark, Book 1) Bluefire. Broadmore, Greg. Doctor Grordbort’s Contrapulatronic Dingus Directory. Dark Horse. Burton, David H. Scourge: A Grim Doyle Adventure . Foglio, Phil, Kaja Foglio.Girl Genius. Studio Foglio. Reeves, Philip. Larklight. (series) Bloomsbury Childrens Books. Selznick, Brian. The Invention of Hugo Cabret. Scholastic Press. The YA – Steampunk field is flooded with books at the moment – some good but MUCH is dreck. A lot of this is dictated only by taste – so go with what looks good to for you and your kids. The important thing is to read some things together. Talk about what makes it Steampunk. Use the books as jumping off point to talk about science, social expectation, the perspective of looking back at history with 21st Century eyes, and the evolution of technology. Emilie P. Bush wears many hats when it comes to writing. She is a Steampunk novelist, a journalist, children’s book author and a mentor to other writers as the Leader of the Gwinnett County Writer’s Guild.Her first novel, Chenda and the Airship Brofman, was an Amazon Breakthrough Novel Award Semi-finalist in 2010 and her follow up tale, The Gospel According to Verdu, picks up where Chenda left off – high in the skies and wild with adventure. Emilie’s children’s book, Her Majesty’s Explorer: a Steampunk bedtime story, is the world’s first Steampunk picture book, and recently hit #1o Amazon’s Hot New Releases Bestseller List. 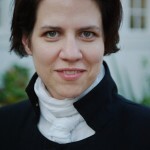 Emilie P. Bush lives with her family in Atlanta,where she is a speaker on publishing in the 21st Century, an editor with Steampunk Chronicle and maintains the website CoalCitySteam.com. William Kevin Petty has lived most of his life in central Louisiana with various military deployments. In his former life as an Army Officer, he would draw and sketch in his down time while deployed to Europe and the Middle East. In addition to the pencil works, Kevin enjoys painting, especially in acrylics on masonite and canvas. 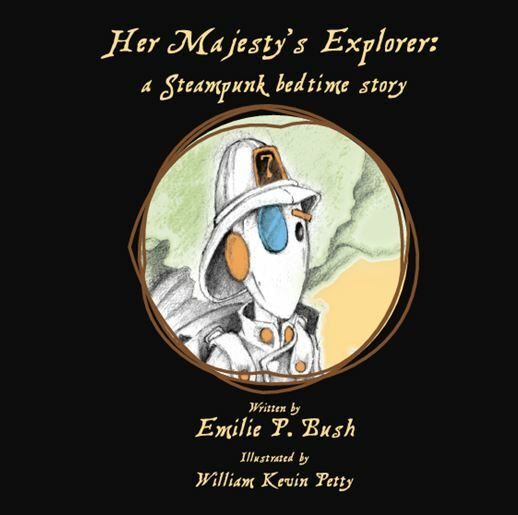 The bestselling picture book, Her Majesty’s Explorer: a Steampunk bedtime story, is Kevin’s first project with Emilie P. Bush, but more titles are in the works. In the mean time, he is an artist for hire. His portfolio is available at www.alliedaethernautics.com. Can I add a Young-Adult title to the mix? It’s a free web-serial, called Orphans of the Celestial Sea. Thanks for the ideas! My nine-year-old reads at a ninth grade level and is interested in Steampunk so I was looking for something he could read.